Wavegarden, pioneers in man-made wave technology, recently conducted a series of tests at their headquarters in Northern Spain in order to check how its technology can improve different aspects of the surfing experience. The first of such tests focused on surfing at night time, using a state-of-the-art lighting system and featuring the talents of former European surf champion Vincent Duvignac, big wave surfers Natxo Gonzalez and Axi Muniain and Zarautz local surfer Asier Maqueda. 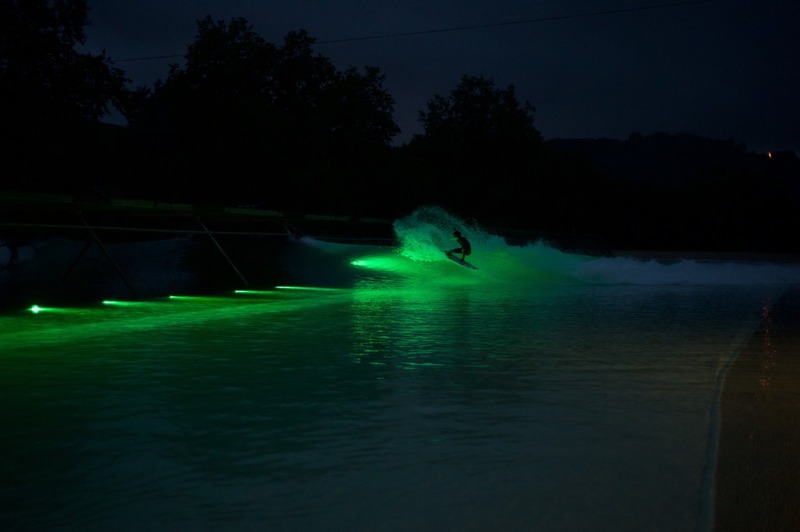 In partnership with a range of leading technical suppliers, Wavegarden is refining their ability to light up facilities at night which, apart from making spectacular imagery, will allow surfers to catch waves before or after work, or school, especially in winter months when daylight is limited. Night surfing in itself is not a new proposition. Surf competitions have been staged in the ocean at night in the past, achieved by flood lighting the ocean similar to a football stadium. However, night surfing has had limited success as it is complicated to set up, impossible to illuminate a large enough area to fully see the waves approaching, and difficult for surfers to clearly see the wave formation and water texture. 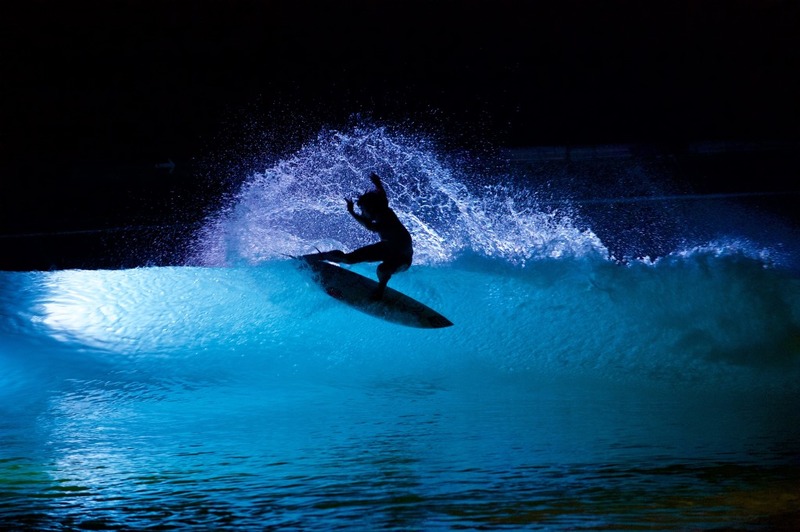 In Wavegarden’s preliminary research, lights are strategically placed underwater to create an effect never seen before, while providing a truly unique experience for the surfers. “Lighting the waves from underneath the water is a new concept and key to Wavegarden’s client proposition”, confirmed Wavegarden’s CEO, Josema Odriozola. “We used software programs to modify the light coverage, intensity, and color. We even managed to install a light on the moving wavefoil to illuminate the wave for the entire length of the lagoon”. “I’ve surfed at night before but this is something completely different”, explained Frenchman Vincent Duvignac, recognized as one of Europe’s most talented and stylish surfers. “When you surf now seems irrelevant: Natxo and I surfed until 2am and could have kept going except we became completely surfed out”. Documented by French surf photographer Greg Rabejac, who has been shooting surfers at night over the past 3 years in France, Spain and Morocco.